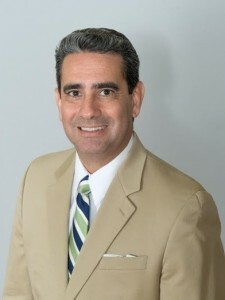 Randall D. Martinez, Executive Vice President and Chief Operating Officer of Cordoba Corporation and Board Member of the National Museum of American History, has been invited to provide the closing remarks at the “Presidential Stories” program taking place at the Hirshhorn Museum and Sculpture Garden in the nation’s capital on Sunday, April 8, 2018, commemorating the successful closing of the Smithsonian’s multi-year $1.88 billion capital campaign. “Presidential Stories” will feature presidential historian and Pulitizer Prize-winning author Doris Kearns Goodwin in conversation with David M. Rubenstein, Smithsonian Campaign Co-Chair and Chair of the Smithsonian Board of Regents. “Presidential Stories” is part of the Your Impact / Your Smithsonian End of Campaign Reception and related program events taking place during the weekend of April 7-8, 2018. “The depth and breadth of the Smithsonian’s collections never ceases to amaze me. I am always learning something new about the treasures we own and the experts who take care of them. I am honored to have been asked to provide remarks at the close of this special program. More so, I am looking forward to an inspiring conversation and glimpse at the many ways the Smithsonian has preserved and activated presidential history,” said Randall D. Martinez. More than 535,000 donors have contributed to the Smithsonian Campaign, the largest amount ever raised in a fundraising campaign by a cultural organization. This generosity in support of the institution, which came from foundations, corporations and individuals from every state and 107 countries, will enable generations to come to experience and benefit from the Smithsonian’s treasures, educational resources and research centers. “Although my own interest is American History, I am inspired to be part of a larger community of donors who share the passion for the work of the Smithsonian, whatever their connection might be,” added Martinez. For information about the Smithsonian Campaign, please see enclosed link: Smithsonian Campaign.